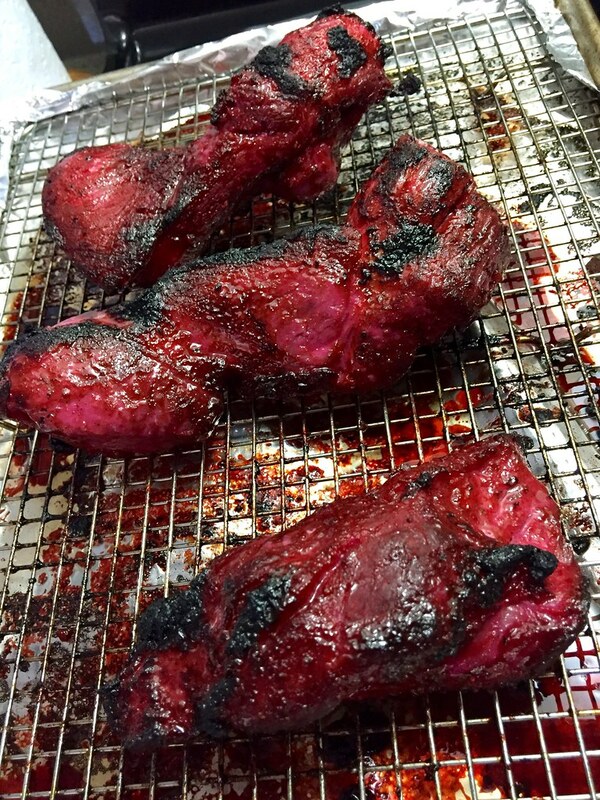 Stroll down the streets of most Chinatowns and I am rather certain that hanging alongside the lacquered Roast Ducks in shop windows, you’ll also find the ubiquitous Char Siu – or Chinese style barbecue pork. You can’t really miss it from its bright reddish-pink hue, coupled with its deeply savory, spiced and somehow sweet mouthwatering scents. In Vietnamese, we call it Thịt Xá Xíu and you can find it pretty much served with everything due to its versatility. 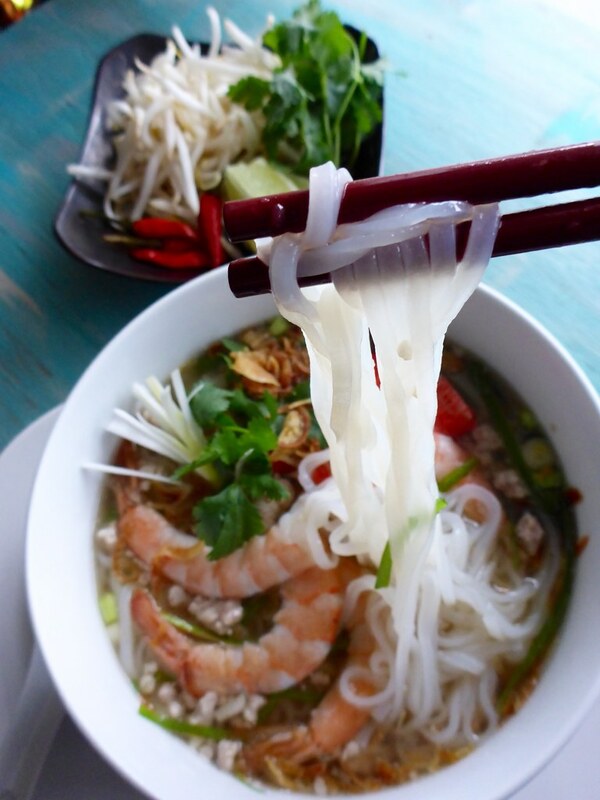 We love it with our noodles, whether it be mì, bún or hủ tiếu. It’s a very common protein in our beloved bánh mì (sandwiches) and can be found in bánh bao –steamed buns. Heck, it’s great just over steamed rice! Since I’ve been on a real kick lately of restocking my freezer, I thought it was high time to add a few stashes of Xá Xíu to the mix. I’m a BIG fan of keeping a well stocked freezer. Not only for those days that you just feel too BLEH to cook but also for those times you’re hankering some comfort food but don’t have the time to commit hours in the kitchen to make anything. I can’t tell you how many times I’ve given myself a little pat on the back when I was quickly able to throw a bowl of Bún Chả Giò (Cold Vermicelli Noodles with crispy Vietnamese Imperial Rolls) together or heat up some Pan Fried Dumplings because I stockpile the freezer. Enough on that…let’s get back to the Xá Xíu….. Right off the bat, I’ve got to tell you that I happily turn to a Char Sui seasoning packet to start the marinade. I’ve got absolutely no guilt about this and totally feel justified because this is how Mom used to do it. Can’t argue with that, right? I do doctor it up with few things like Shaoxing wine, garlic, pepper and a bit of five spice powder before rubbing the pork shoulder with the mixture. It then marinates in the fridge overnight so that all that goodness seeps in. Two quick things before we move on. 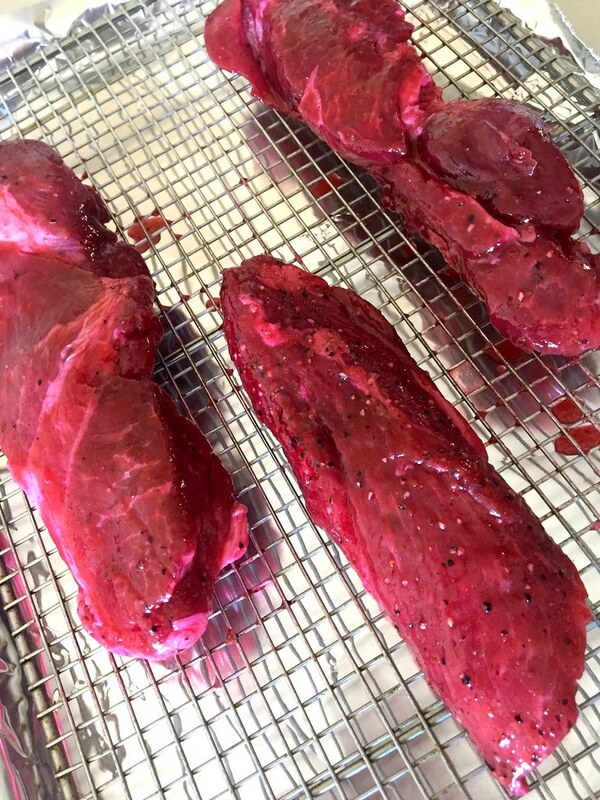 1) If you use a seasoning packet, the powder (and eventually the marinade) will be pink. Super pink. It can vary on brand but it’s mostly due to some curing salt (think corned beef) and well, food color. If that freaks you out, nix the premixed seasoning and make your own. 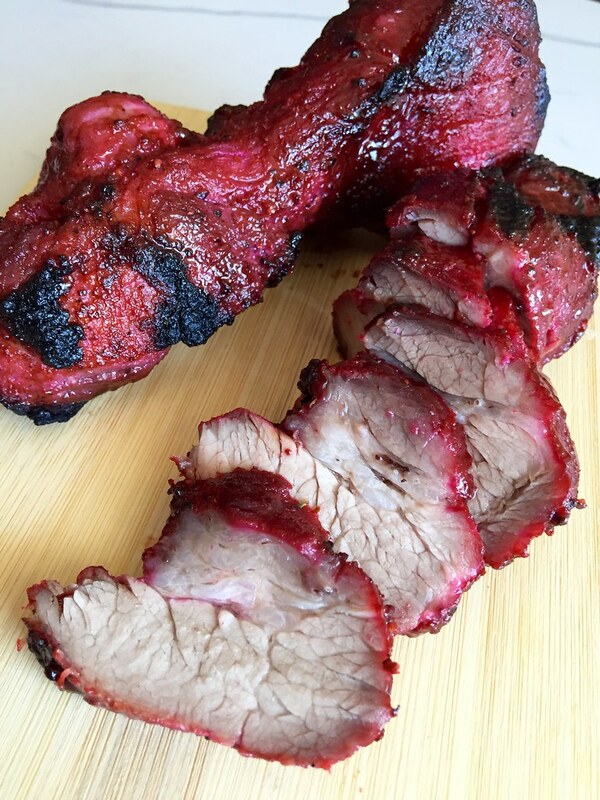 2) I like using pork shoulder instead of something too lean. The Xá Xíu should have a bit of fat on it and pork loin, particularly tenderloin, doesn’t it cut it for me. Once the pork is done marinading, I bake it in a hot oven for 20ish minutes on a wire rack that sits on a rimmed baking sheet. This not only helps with even cooking but it lifts the pork up from any excess liquids that may render out. Pro Tip? Add a bit of water to the baking sheet while the pork cooks. The water helps keep the moisture in the oven (and thus in the pork) as well as helps reduce the amount of smoke that may occur from any fat drippings that will accumulate on the sheet. While the pork roasts, take the marinade and whisk some hoisin sauce into it. You’ll then use this to glaze the pork to help add a bit more flavor as well as get that sheen. Don’t worry that the marinade had raw pork sitting in it because after you brush it over the Xá Xíu, you’ll then broil it for a few minutes on extremely high heat. Easy-peasy, right!? Maybe one of these days I’ll attempt to make it without a premixed seasoning packet but gosh….it’s just so darn convenient and tasty. In a bowl, whisk together the Xá Xíu/Char Siu seasoning, five spice powder, pepper, garlic, Shaoxing wine and oil. 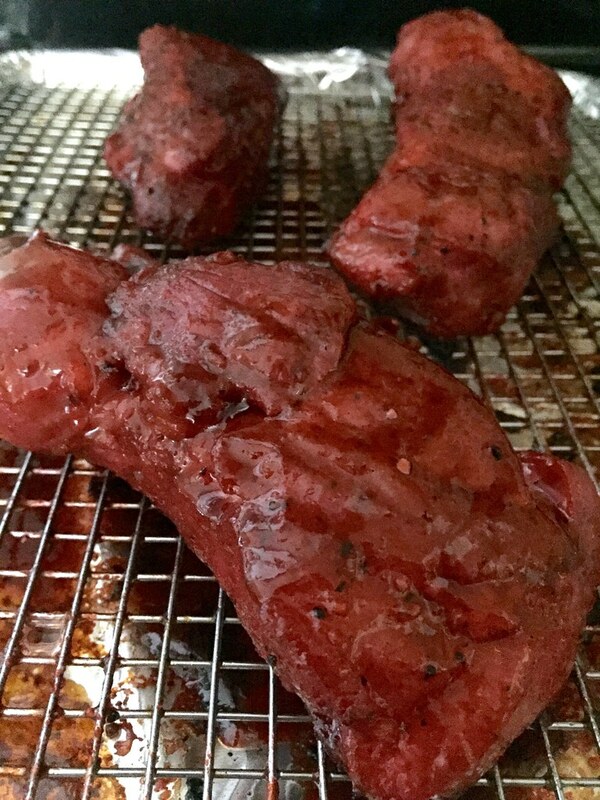 Rub the marinade all over the pork and place in the refrigerator overnight. Preheat your oven to 450 degrees F. Place a wire rack on top of a rimmed baking sheet that has been lined with aluminum foil. Lightly cover the wire rack with cooking spray. Remove the pork from the marinade and pat dry with paper towel. Place the pork on top of the rack and place in the preheated oven. Pour about ¼ cup of water into the baking sheet. The water helps keep the moisture in the oven (and in the pork) as well as helps reduce the amount of smoke that may occur from any fat drippings that will accumulate on the sheet. Roast the pork for about 20 minutes, flipping halfway through, or until its internal temperature reaches about 145 degrees F.
While the pork roasts, pour the marinade from the pork with any liquids that may emerged into a small bowl with the Hoisin sauce. Whisk together to create a glaze. Set aside. Once the pork has cooked through, remove the tray from the oven. Brush the glaze over the pork and place it back in the oven, directly under the broiler. Broil the pork, rotating every 45 seconds or so to create a nice char. 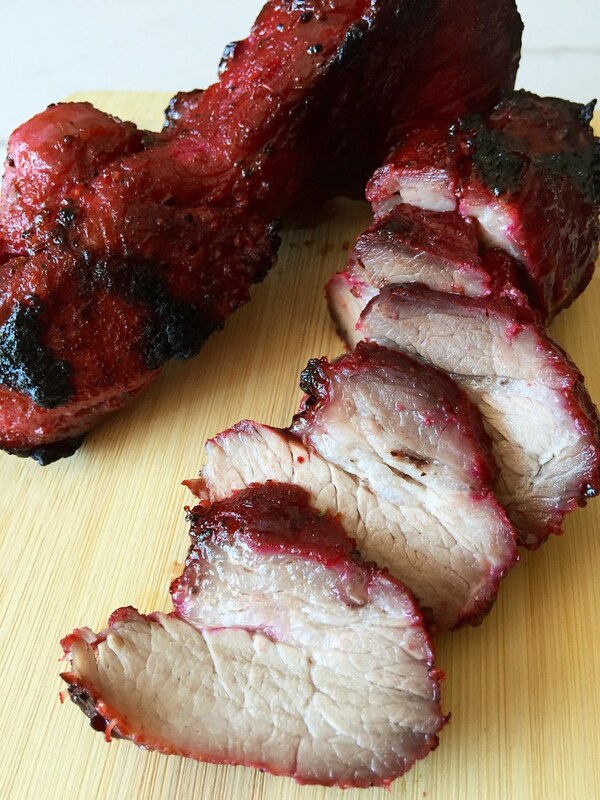 Be careful to keep a close eye on the pork at this point since it can burn quickly. Remove the pork from the oven and let rest for several minutes before slicing. The East Coast has been experiencing some crazy snow storms lately –to the point that I’m sure that the White Walkers are just vacationing around there until Season 8 of GoT is released. Or at least until a release date is announced. Just thinking about it makes me shudder and want to bundle up. But before you laugh at me, know that it’s actually been cold in San Diego these past few weeks—even by non-Southern Californian terms. We’re talking in the 30 degrees F in the late nights/early mornings! BRRRRRR!!!! Maybe a straggling Walker wanted to check out Disneyland? I’m constantly cold. Which is why I have been nonstop cooking and eating soups lately–noodle soups, mostly. Can you blame me? 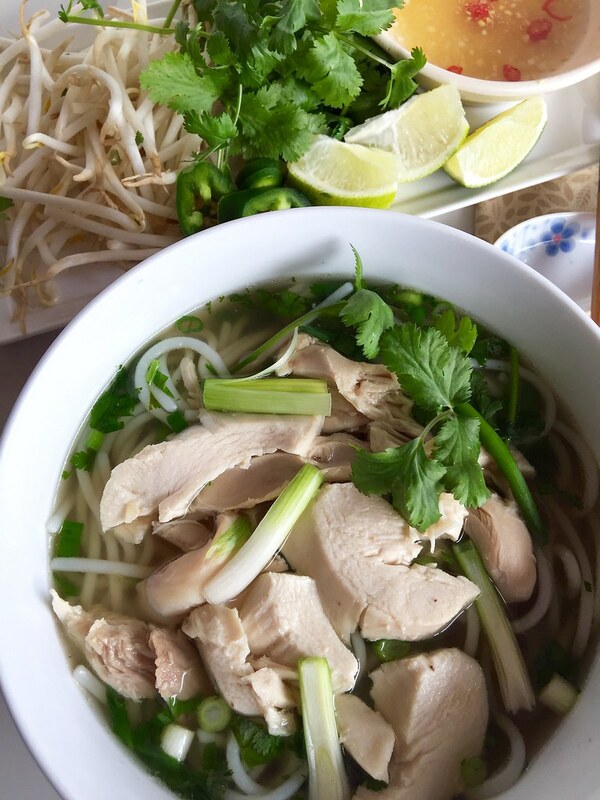 I’ve been getting my full of chowders, ramen, wonton noodle soups and of course, Phở. Hey-I need comfort food! 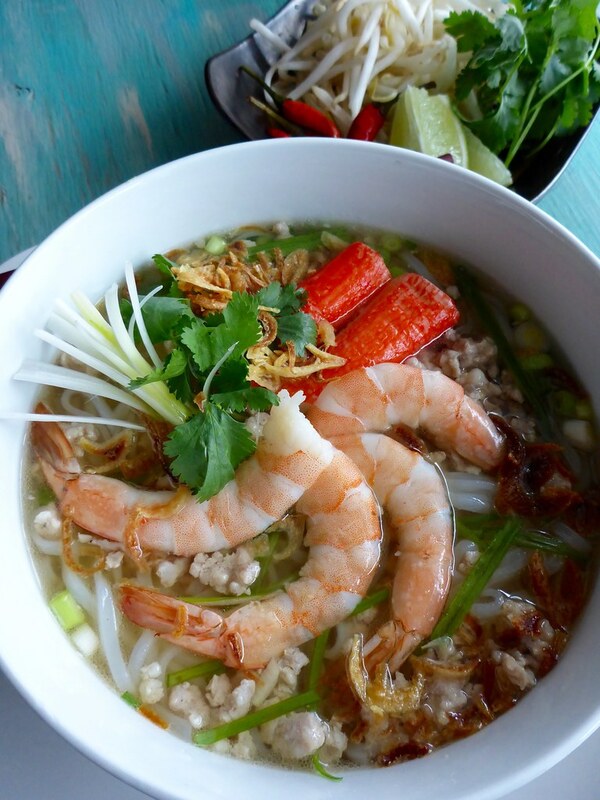 But as much as I love phở, there are so many other noodle dishes in Vietnamese cuisine than the popular soup. But my favorites are Bún Bò Huế (spicy beef noodles) and Mì Quảng (seafood & pork turmeric noodles). Though I’ve got to tell you — I do LOVE me a big bowl of Hủ Tiếu. Which type of Hủ Tiếu? Well, that’s where things get a bit difficult because depending on who you ask, the “variations”, well…….vary. 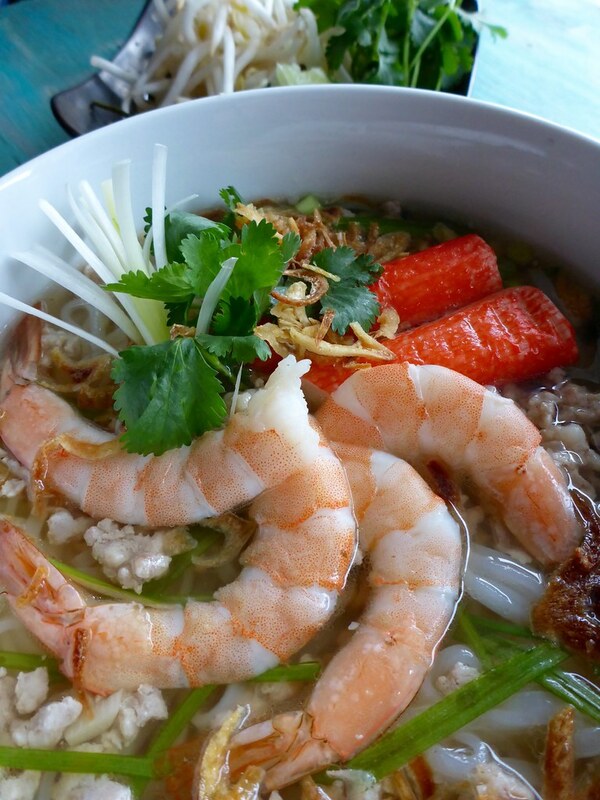 There’s Hủ Tiếu Nam Vang which is considered the Vietnamese version of the Cambodian noodle soup from Phnom Penh. 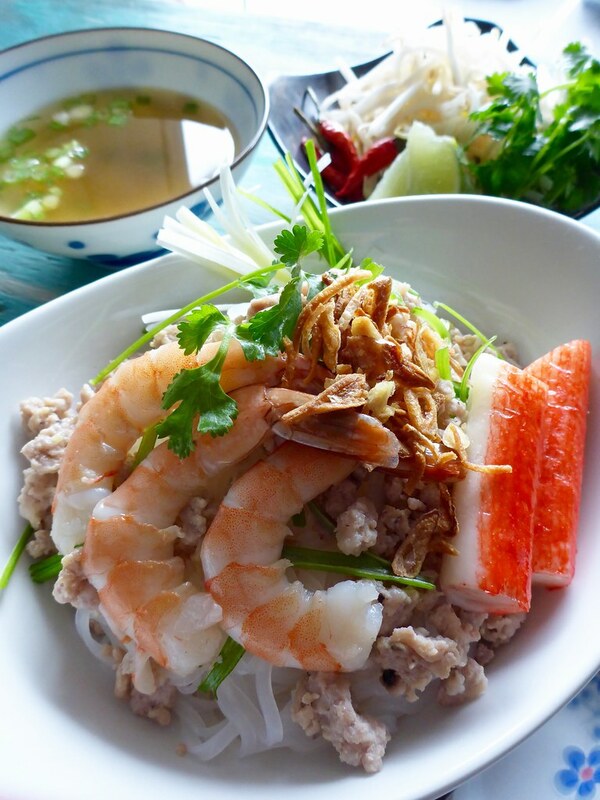 There’s Hủ Tiếu Mỹ Tho which is the signature noodle dish of the city Mỹ Tho located in the Tiền Giang Province on the Mekong Delta. And there’s also Hủ Tiếu Tàu, which just translates to Chinese Hủ Tiếu. Yeah…they could have been more creative with that one. What are the origins of Hủ Tiếu? Whelp, other than the fact that it originates from China and somehow blended its way through Southeast Asia, everything else is a bit fuzzy. But it has become iconic in Southern Việt Nam and most can at least agree that the broth is pork bone based. 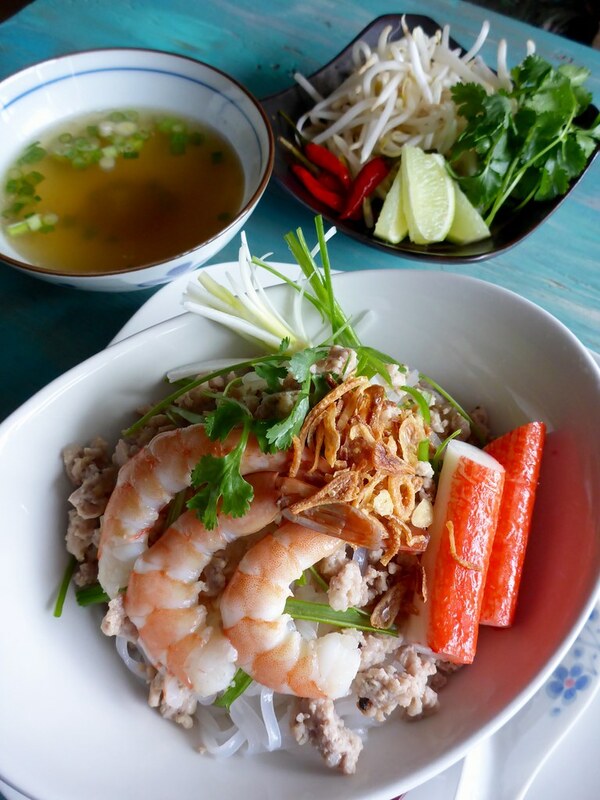 Oh…I forgot to mention that on top of the different the types of Hủ Tiếu you order, you can choose to have it khô (dry noodles served with a dark salty-sweet sauce and the broth on the side) or with nước (broth and noodles served together). I know….we’re a complicated bunch. But we’re a People that like options. 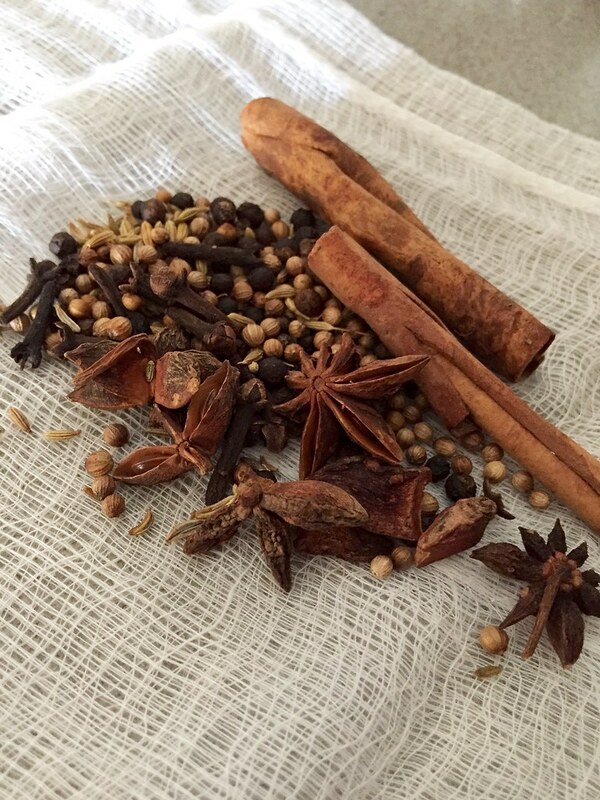 So which type of Hủ Tiếu do I make? I can’t really say it’s traditionally Mỹ Tho or Nam Vang. And I’ve got to admit, although it sounds trivial, it’s definitely times like these that I wish I could ask Mom. Would she have the right answer? Eh…questionable. But she’d likely give me a confident answer and just tell me to do what tastes good. 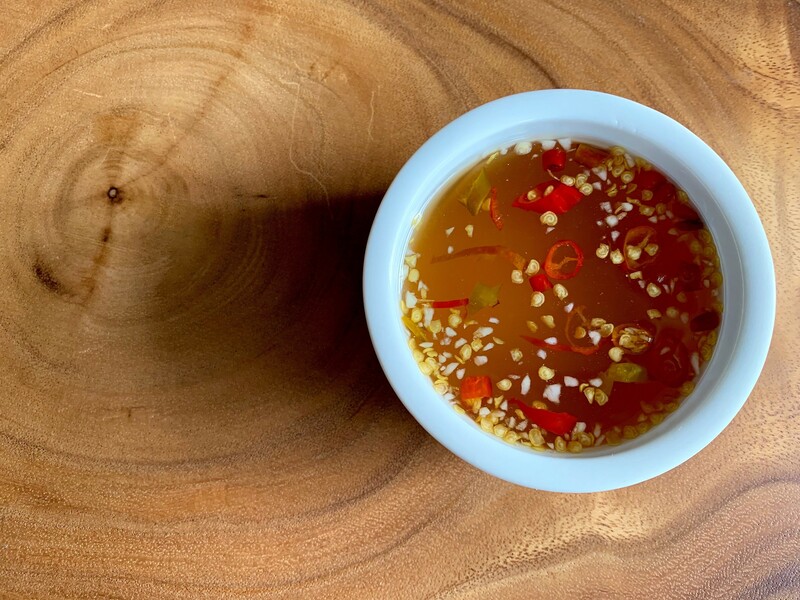 I enjoy Hủ Tiếu broth because it’s light, slightly sweet and not as spice-forward as phở. 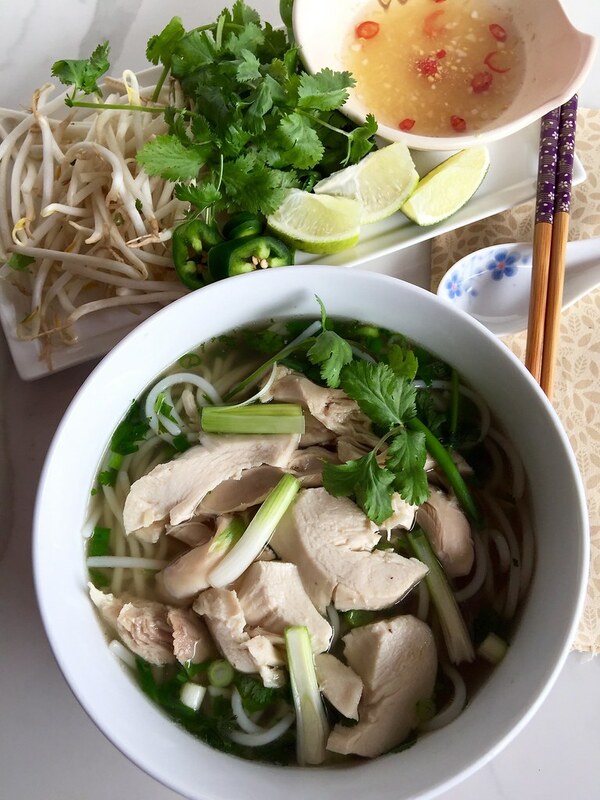 Again, I do adore phở –but it’s good to have options. But like phở, it should be wonderfully clear like a beautiful consommé. 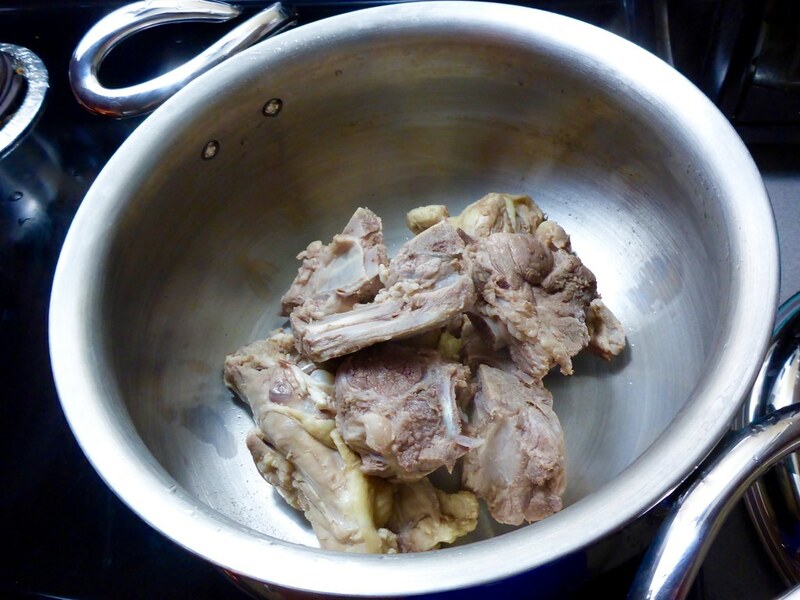 Most Hủ Tiếu broths start off with lots of pork bones but I like to add chicken bones too. Why miss an opportunity to have a richer broth right? To start on that consommé-like path, you’ve got to give the bones a good scrub down. 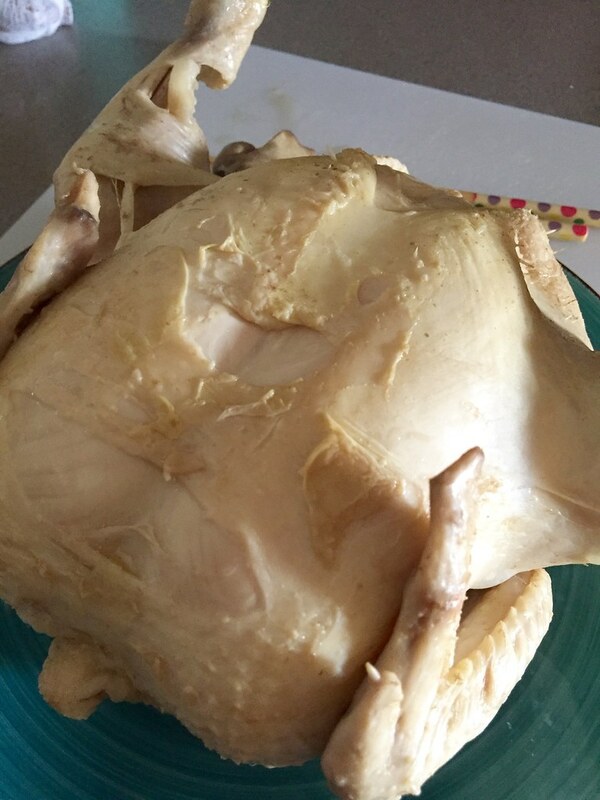 Mom always taught us to clean bones and all proteins first before cooking by exfoliating it with salt and thoroughly rinsing it. 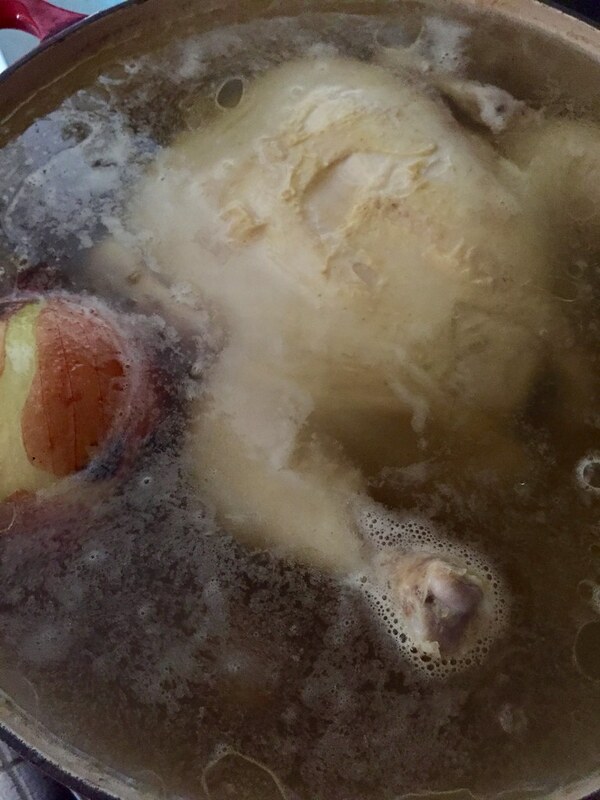 Then you’ll need to parboil the bones for several minutes, dump out the water and rinse off any of the impurities that have come out before starting the broth in a clean pot. 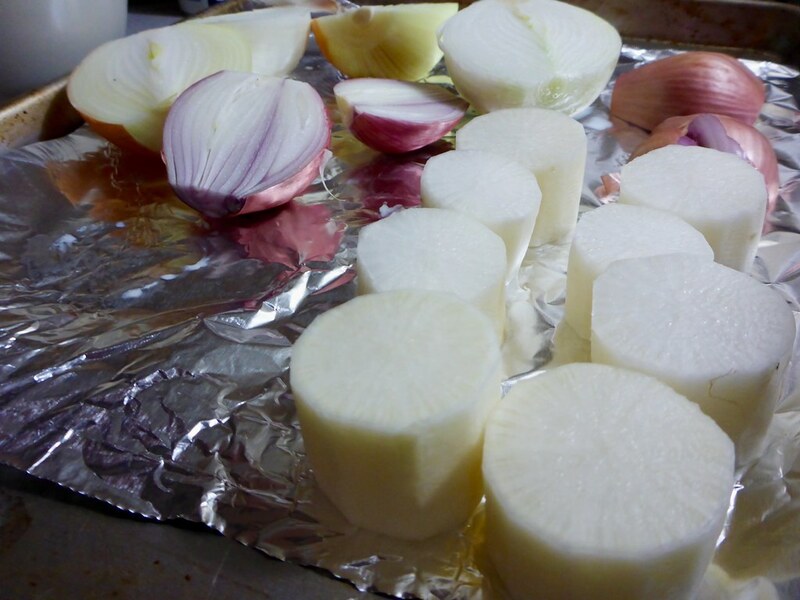 I then throw in some onions, shallots and to provide some sweetness– daikon and dried shrimp. This is when you can also add dried squid that has been rehydrated. I didn’t have any on hand when I made this batch but I will next time. Following those ingredients are some dried shiitake mushrooms (not traditional but I like the added depth of flavor), salt and rock sugar. Once you’ve gotten to this point, let the broth simmer on very low but steady heat for about 2½-3 hours. And remember that consommé-like goal we’re aiming for? It’s this low and slow simmer that seals the deal. That and also skimming the broth every 30 minutes or so to discard of any impurities that may have risen to top. 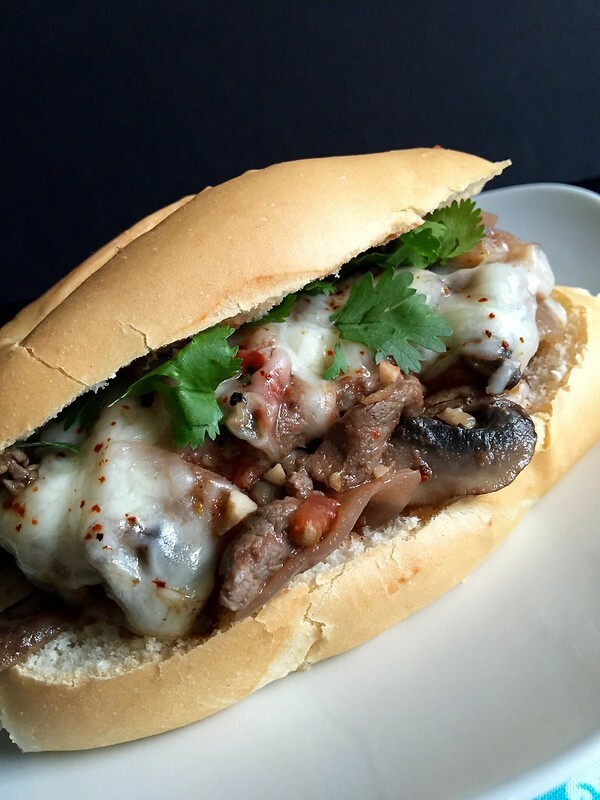 I know —this is a labor of love….for my stomach. I should note that traditionally the broth is seasoned with only salt and not fish sauce. 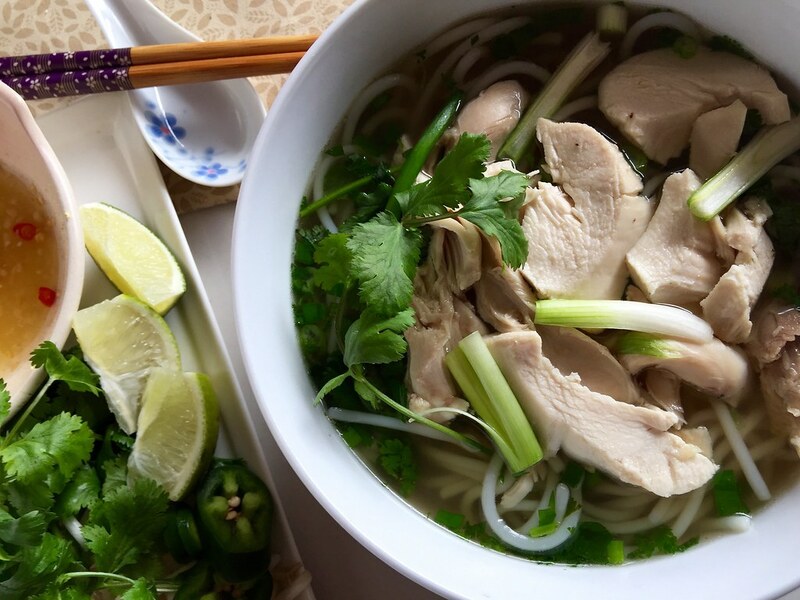 But I’ll admit it, after the broth has simmered for a few hours, I’ve been known to throw in a few dashes of Vietnamese liquid gold if I feel that it needs a bit more magic. Now let’s spend a few moments talking about toppings, shall we? 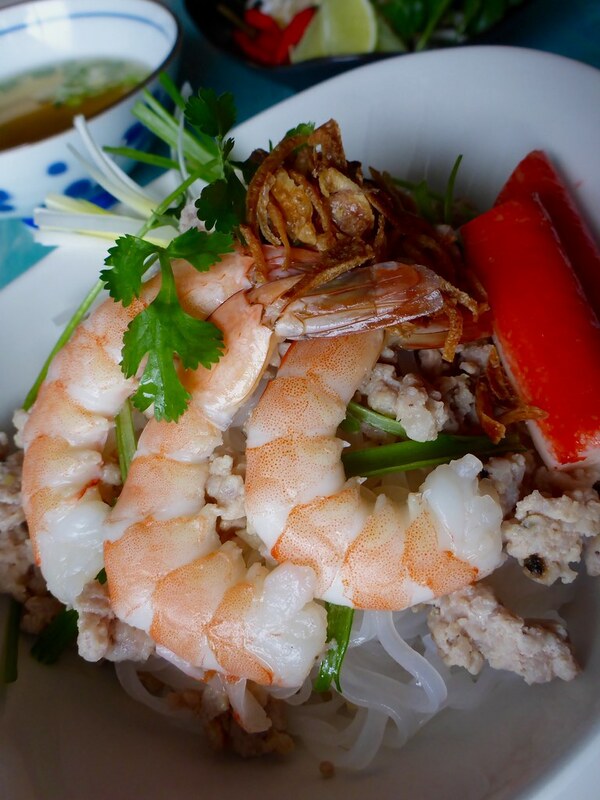 I believe across the board for Hủ Tiếu, you’ll find that there will be some variation of pork and whole shrimp. But when it comes to everything else–it’s all fair game. Common items in various Hủ Tiếu are boiled quail eggs, offal, Vietnamese ham, fried shrimp crisp and sliced beef. 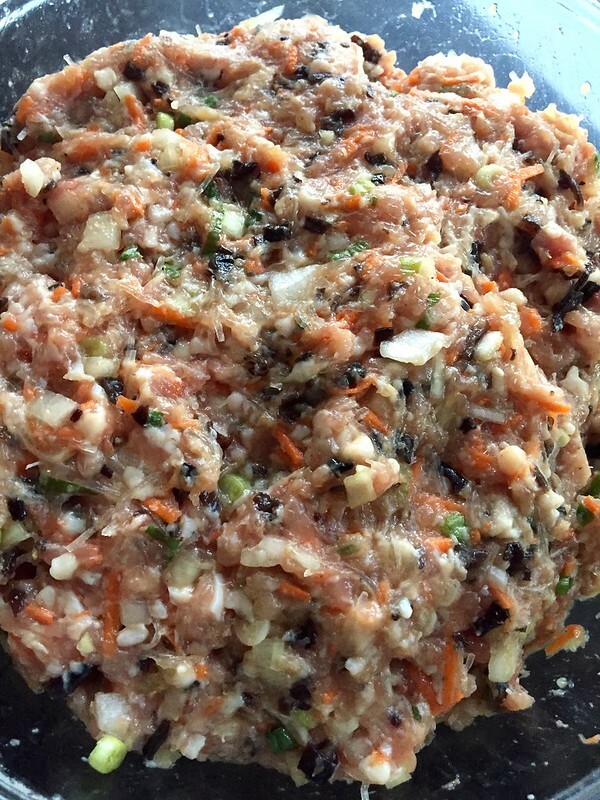 And when it comes to pork, it can come in the form of poached, ground or Chinese “barbecue” known as char sui or xá xíu. They also say that Hủ Tiếu Mỹ Tho should have an abundance of seafood so in addition to the usual suspects, you’ll find toppings like crab claws, squid, fish balls, imitation crab, fish and so forth. For me, I’m not a fan of many offals, let alone poached pork liver. Don’t get me wrong– I do love a good pâté but liver in this soup form has never got me excited. So I don’t include it. And as much as I love all kinds of eggs, boiling and peeling them are just too tedious for me –so I nix those too. And no–I don’t buy or enjoy canned quail eggs. They taste very metallic to me. I generally stick to the basics such as poached shrimp, imitation crab and browned ground pork. But if I really feel like going the extra mile (or if I was smart and kept a stash in the freezer), I’ll make xá xíu, too. Oh–and don’t forget the accompanying veggies, herbs, chilies and fresh lime! Now let’s talk about the noodle types. One of the reasons why I like Hủ Tiếu so much is that most of the time, it is served with what is called Hủ Tiếu Dai which are tapioca based noodles. 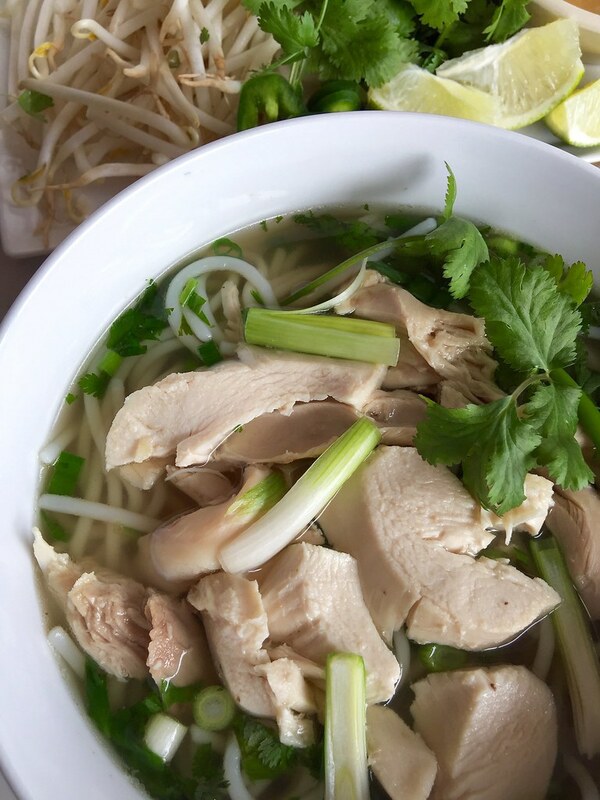 The texture is much more firm than phở noodles have — which are typically rice flour based. 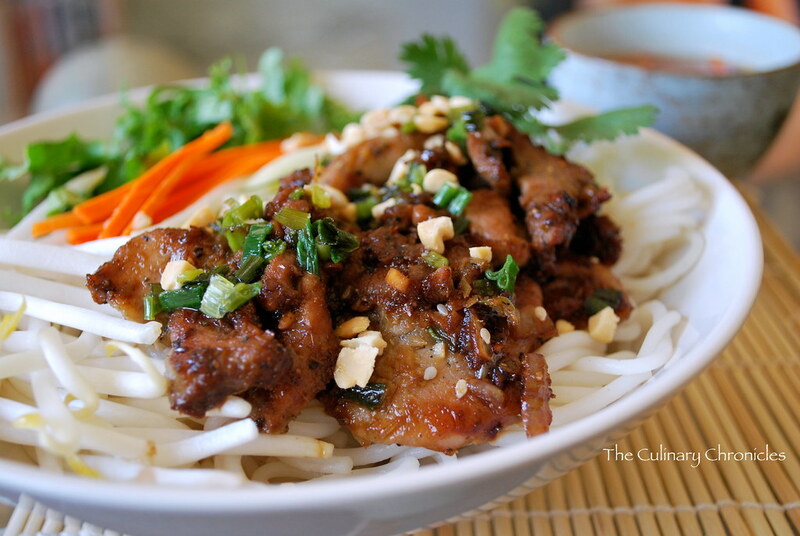 Hủ Tiếu Dai are chewy in similar ways to why I adore bucatini pasta – but without the hole in the center of the noodle. Delish. 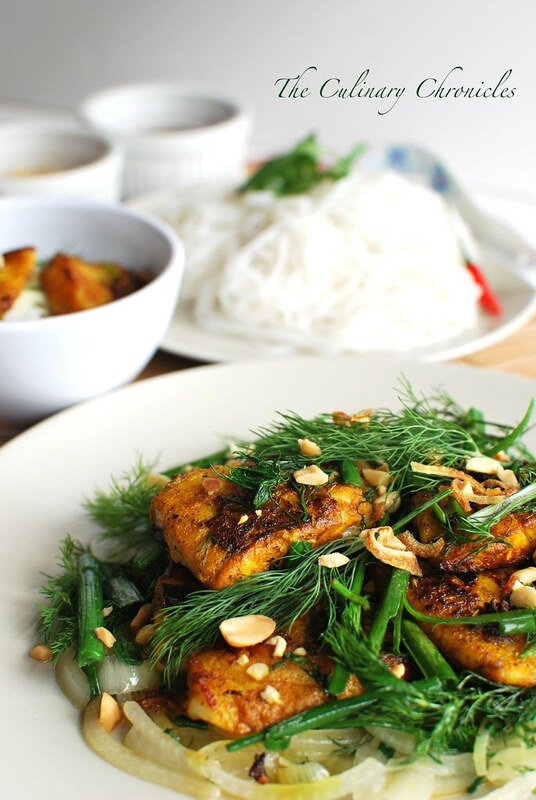 But you can also find Hủ Tiếu served with standard rice noodles or even Chinese egg noodles. In those cases, it’s called Hủ Tiếu Mi – also good, but just different. And if you can’t decide which you prefer, some places will serve the different noodles mixed together for you! Told you we like options. Lastly, let’s chat a bit more about what I mentioned earlier on having it served khô or with nước. 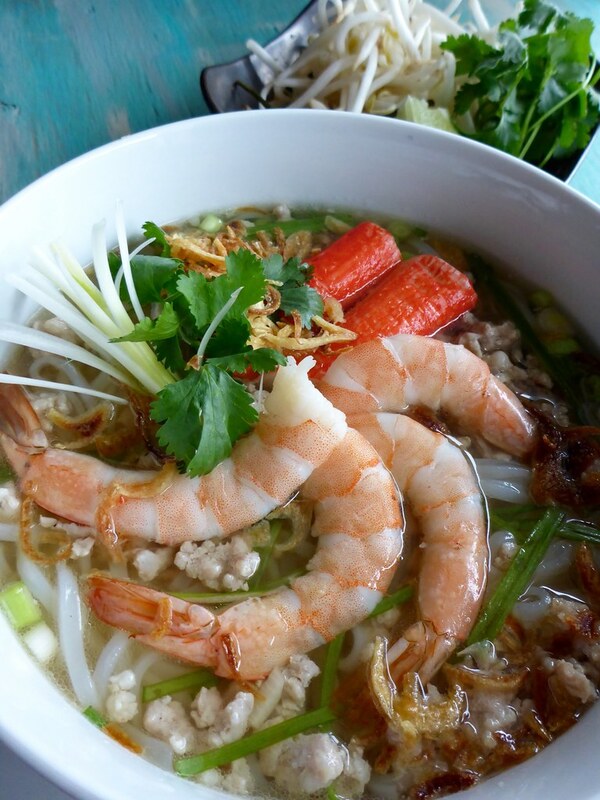 If you were to ask for a bowl of Hủ Tiếu (whether it be Nam Vang, Mỹ Tho or Tàu), you’ll likely have a wonderful steaming bowl of noodle soup delivered to you. The noodles and broth are in one bowl — and it’s a party. Sometimes they’ll call it Hủ Tiếu Nước (with broth) but generally if you say “Hủ Tiếu”, that’s what you’ll get. And it’s glorious. 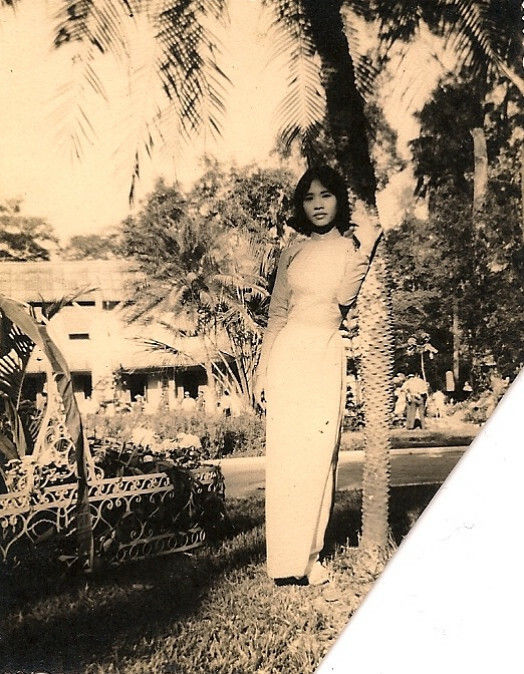 However, some spots will have Hủ Tiếu Khô available and I’ll tell you, it’s also glorious. Essentially, the bowls are assembled nearly the same with the exception of two things. The noodles will have a rich salty-sweet sauce either drizzled on top or underneath the noodles and the the broth will be served in a small bowl on the side. You’ll stir the noodles up with that rich sauce — and of course you can pour some of the broth in it too. But this way, you’ll get to enjoy the flavors of the noodles, toppings sauce and then slurp the broth separately. And I’ll tell ya, when I was young, I wasn’t really much into the broths of noodle soups. Sure–I liked some of it but I was more focused on the GOODS! This method was perfect for me! Plus, the sauce adds another level of flavor—yes, it too, is glorious. Nowadays I enjoy both so don’t make me pick sides. herbs and veggies: fried shallots, fried garlic, bean sprouts, cilantro, culantro, chilies, limes, scallions, etc. other protein options: pork slices (poached or char sui/xá xíu), boiled quail eggs, liver or other offal, sliced squid, etc. Place the pork and chicken bones in the sink and liberally sprinkle salt over them. 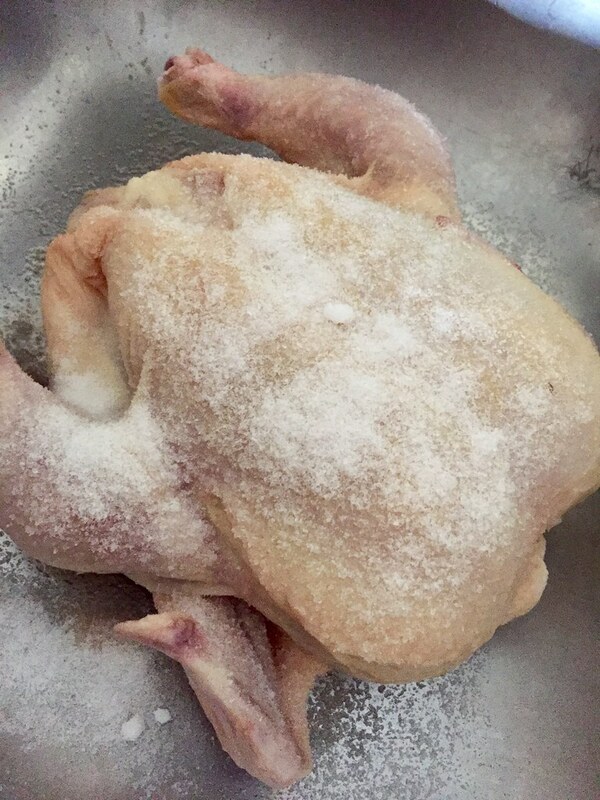 Using the salt as an exfoliant, scrub the bones well and rinse. Place the scrubbed bones in a large pot and cover with cold water. Set the heat to high and boil or 5-7 minutes. At this point, some of the impurities and “scum” will have boiled out. Place a colander in the sink and carefully pour the bones in to drain. Rinse the bones thoroughly to remove all the impurities. 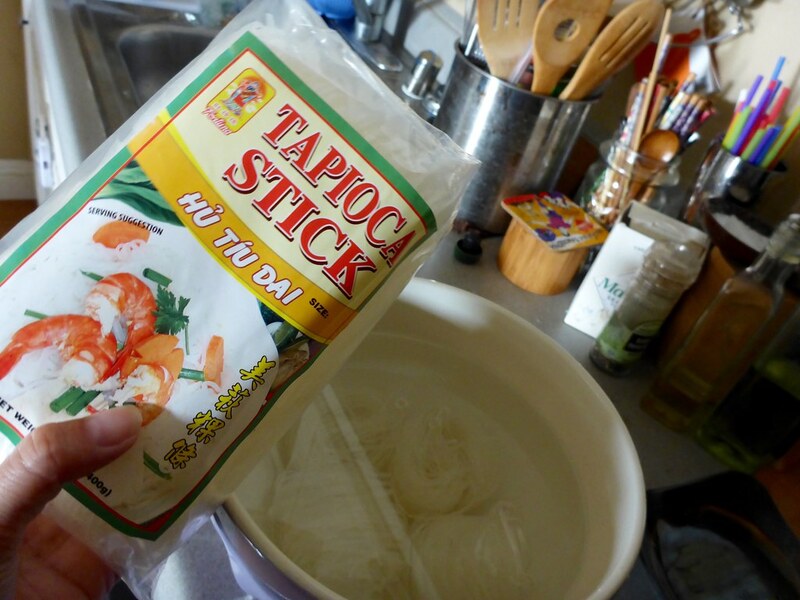 If you intend on using the same pot for the Hủ Tiếu broth, wash it well before adding the bones back in. Do not skip any of the above important steps in order to get a clear and clean broth. Pour in about 6 quarts of water over the cleaned bones and bring to a boil. Add the onions, shallots, daikon, shiitake mushrooms, rock sugar, rehydrated shrimp, squid, peppercorns and 2-tablespoons kosher salt. Stir until the rock sugar has dissolved and lower the temperature to a gentle simmer. Allow the broth to simmer, uncovered, on very low heat for 2½-3 hours. During that time, periodically skim and discard any impurities that may have formed on top of the broth. 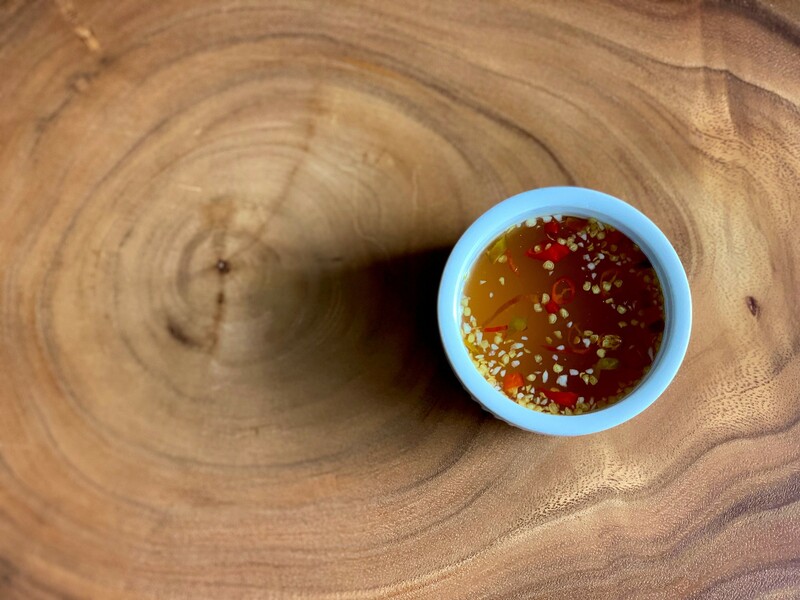 At the end, you’ll want a semi-dark but very clear broth like a consommé. Before serving, taste the broth and add additional salt if needed. While the broth simmers, prepare the toppings. In a small bowl, mix the pork, fish sauce and pepper together. Heat the vegetable oil in a skillet over medium. Sauté the garlic until fragrant but not browned. Add the pork and cook thoroughly while crumbling up the ground meat. Take off heat and set aside. Place the shrimp in a mesh metal strainer. Dip the strainer into the simmering broth and stir the shrimp around so that it poaches in the hot liquid. Once the shrimp becomes bright pink, shake lightly to remove excess liquids and set aside. Prepare the noodles according to the directions on the package. Usually it will instruct you to soak the noodles for 10-15 minutes in hot water and then boil for a quick few minutes before draining well. Set aside. To assemble if serving the broth with the noodles, divide the cooked noodles among the bowls. On top of each bowl, place 3-4 poached shrimp, a couple of pieces of imitation crab and a few spoonfuls of cooked ground pork. Sprinkle on the fried garlic, fried shallots and chopped scallions. Ladle the boiling broth over the noodles and toppings. 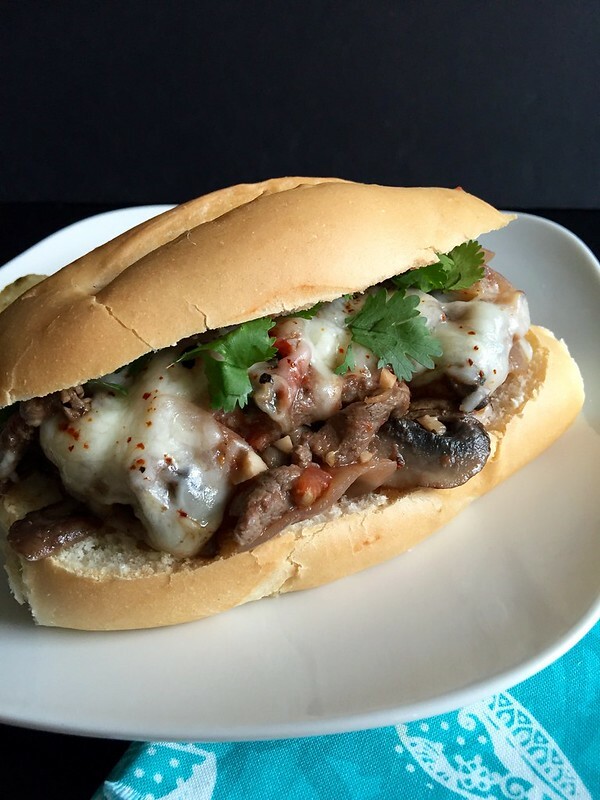 Serve with fresh herbs, chilies and limes on the side. If serving Hủ Tiếu Khô (dry noodles), prepare the accompanying sauce by heating the oil over medium low in a small saucepan. Add the shallots and cook until just golden. Add the garlic and cook for an additional minute, stir to avoid it from burning. Sprinkle in the 5 spice powder and cook for 30 seconds before adding the remaining sauce ingredients. Raise the heat so that the liquids boil and then reduce to a simmer. Allow the sauce to cook for 2-3 additional minutes. 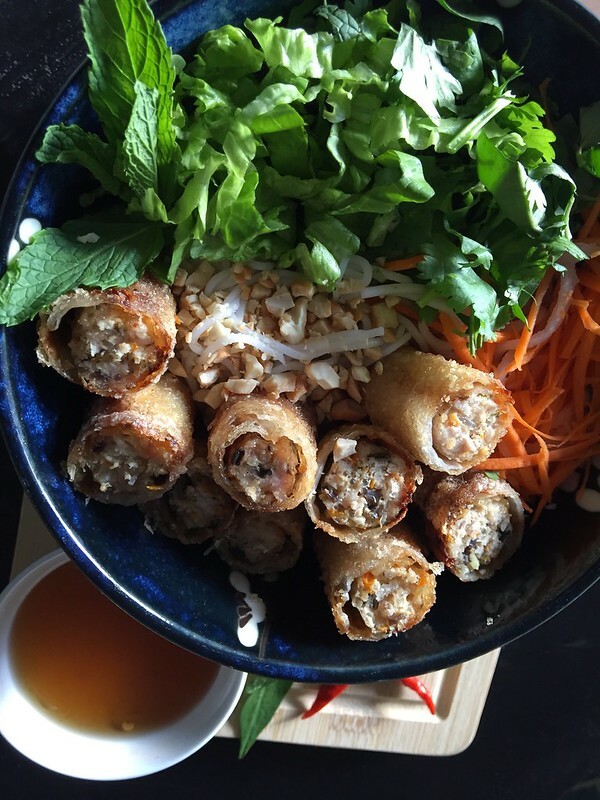 Assemble the Hủ Tiếu Khô by adding a heaping spoonful of the dark sauce at the bottom of each bowl. Top with the cooked noodles, 3-4 poached shrimp, a couple of pieces of imitation crab and a few spoonfuls of cooked ground pork. Sprinkle on the fried garlic, fried shallots and chopped scallions. 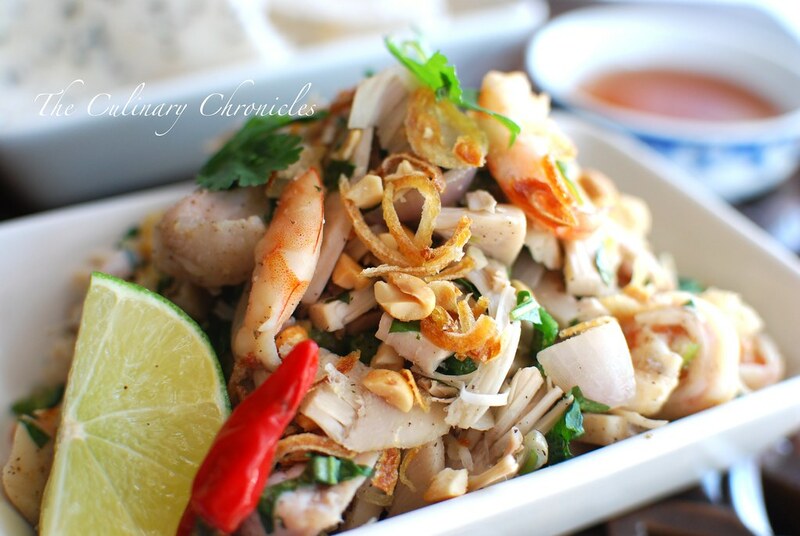 Serve with a small bowl of hot broth on the side along with fresh herbs, chilies and limes. I’ve been craving a lot of Vietnamese foods lately. It’s comforting, nostalgic and just damn tasty. I’ve said it many times before but I didn’t realize how good we had it growing up with all of that deliciousness around us all of the time. I definitely took it for granted. 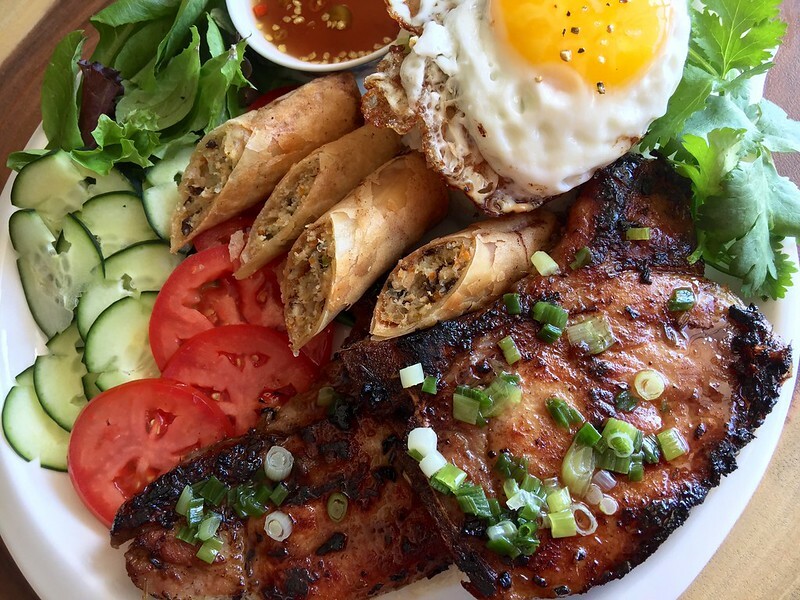 And now when I want good quality Vietnamese food, I have to make the haul up to Orange County where I beg my family to feed me or resort to swinging by one of the gazillion Việt spots in Little Saigon. But then there are times where I’m home in San Diego and have to fend for myself. 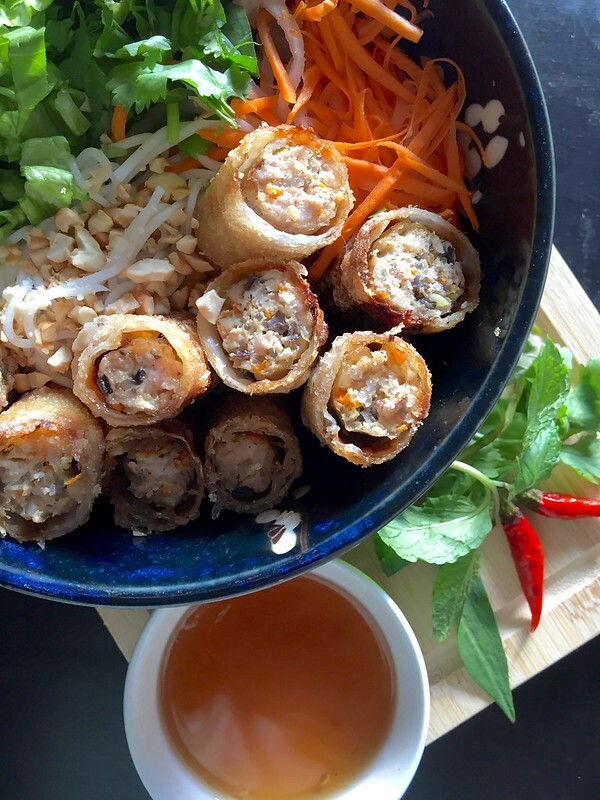 Don’t get me wrong–I do like cooking Vietnamese foods, I’m just not the best at it. 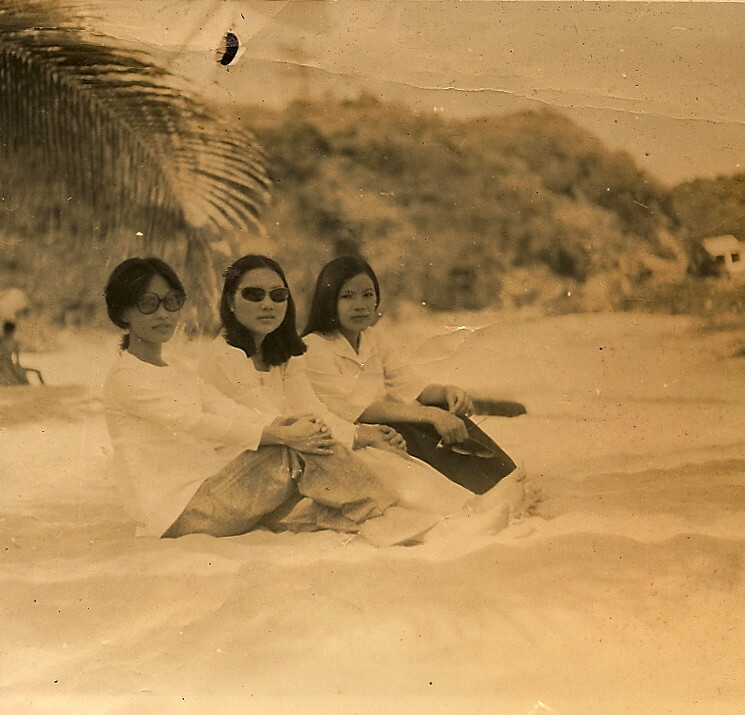 For sure, Mom reigned supreme and the aunties too. And nowadays, I’d say big seester N and our cousies A and T are right up there. That alone makes the idea of ever moving back to OC palatable because they’ve got skills! 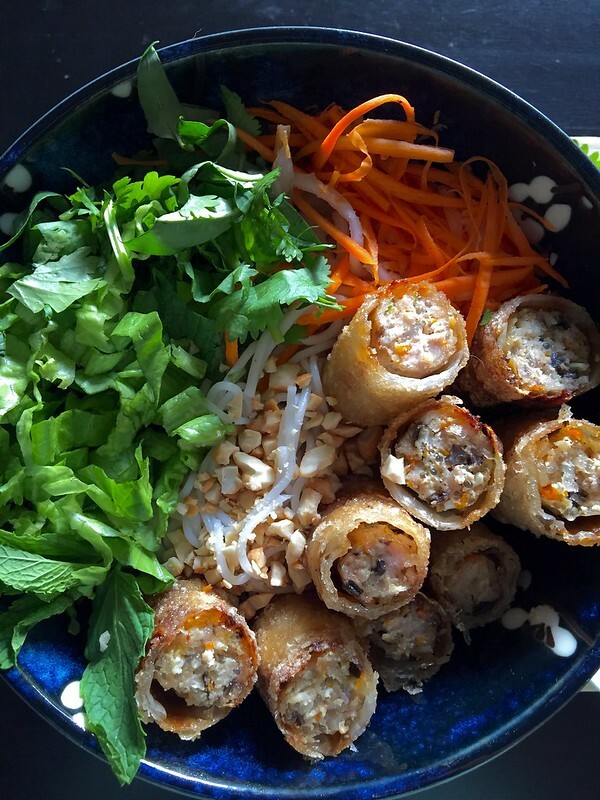 There are a few Việt dishes I’m happy to make and feel pretty good about. Seestrah T posted a pic the other week of her grilling up some Vietnamese style pork chops which made me think of two things. First — hey! She never makes that for me! And second –sheesh, now I’m really hankering for some pork chops! It was time to take matters into my own hands and luckily, I had all the ingredients already! 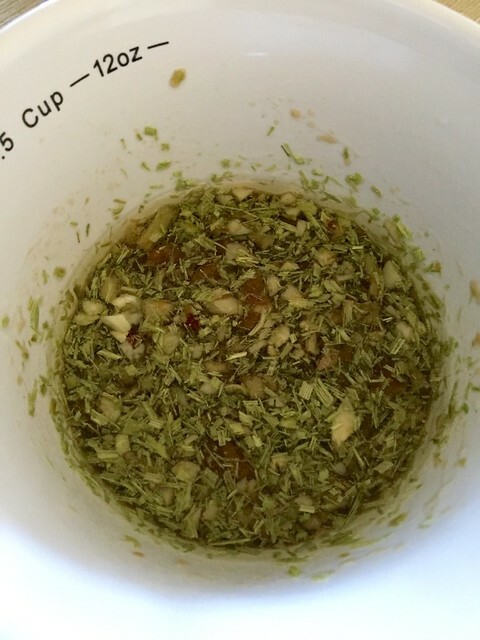 My version of the marinade has staples like fish sauce, soy, sugar, shallots, lemongrass, garlic, ginger and chilies. Our cousin T that lives in Đà Nẵng makes the most EPIC sườn nướng (grilled pork chops). Years ago she told us what she marinated them with but I think the woman is holding out on us because mine never taste the same! And maybe it has to do with the fact that she grills them over this teeny-tiny charcoal grill on her patio floor and perhaps that’s where the essence of Việt Nam somehow creeps in and flavors it. For these chops, I generally prefer to use a thinner cut—about 3/4 inch thickness. 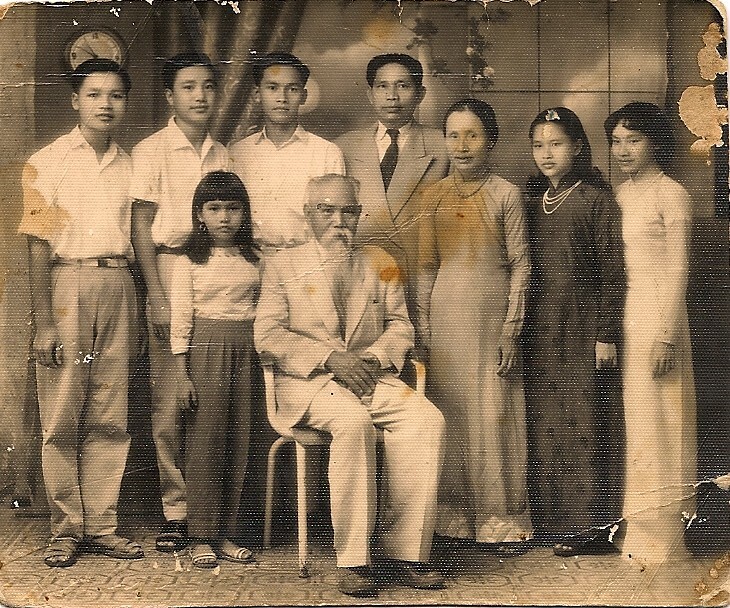 They remind me more of how we have them in Việt Nam or at the restaurants here. But if you prefer a thicker cut, go for it! Just be sure to marinate them overnight or at least for 6-8 hours. Next, I throw them on a screaming hot grill and they cook up for 1-2 minutes on each side. Easy peasy! Keep in mind that the grilling time will increase if you choose thicker cuts. Once finished, you’ll get all of these lovely charred bits from the sugar in the marinade. It’s at that point that you’ll want to quickly brush them with hành mơ — scallion oil. 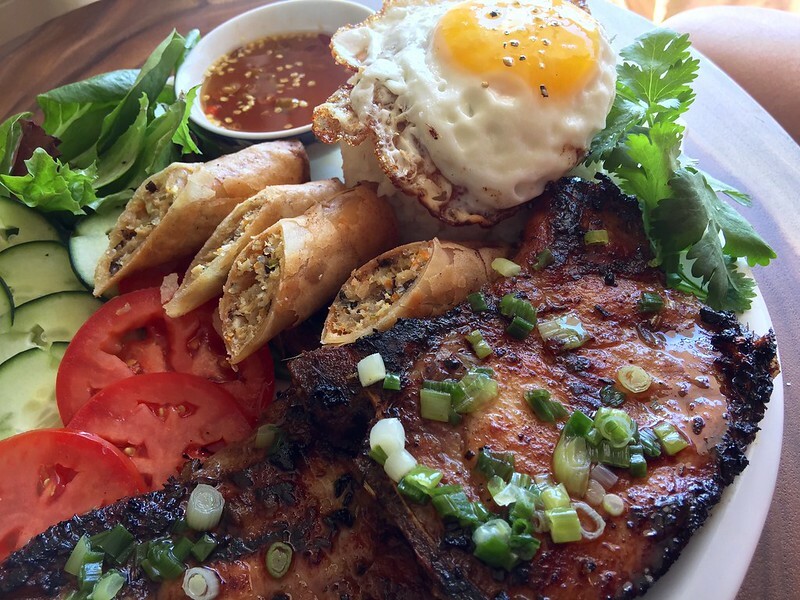 I serve these pork chops pretty traditionally with a heaping scoop of steamed rice, sliced cucumbers & tomatoes, lots of spicy nước chấm (dipping sauce) and of course – a sunny side up fried egg with crispy edges. Now I know these days, some frown upon crispy edges on eggs. Quite frankly, I don’t know when that became out of fashion—but dang it! It’s darn tasty that way and adds texture. 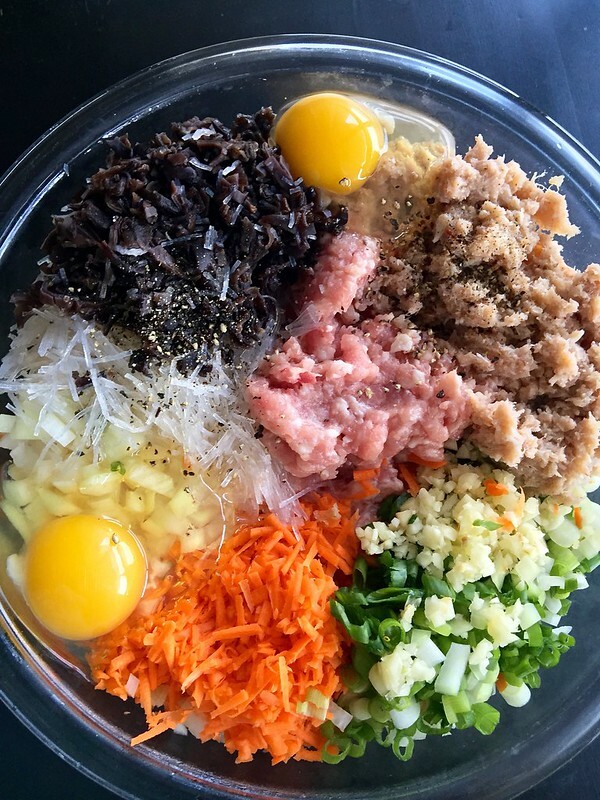 If you order this dish out, you may also find that instead of a fried egg it will be served with Chả Trứng which is like a steamed egg meatloaf. It may sound strange to you but trust me, it’s awesome. Honestly, I was too lazy to make it (though it’s not difficult) but I promise I will someday soon and will share it with y’all. On this particular day, I plated them with a few Chả Giò . It’s not something I always do but seeing how I had a stash in my freezer, it seemed like the proper occasion to bust them out. Prepare the nước chấm (spicy dipping sauce). In a small bowl or jar, mix ¼ cup sugar with the hot water until the sugar starts to dissolve. Stir in ¼ cup fish sauce, lime juice, chili peppers and Sambal chili paste. Set aside. Prepare the hành mơ (scallion oil). In a small sauté pan, slowly heat the canola oil. Add the chopped scallions. Cook the scallions on very low heat until they are wilted but still bright green. Approximately 2-3 minutes. Pull from heat and set aside. Remove the pork chops from the refrigerator 30 minutes before cooking to take the chill off. Bring your grill to medium-high heat and lightly grease the grates with oil or cooking spray. 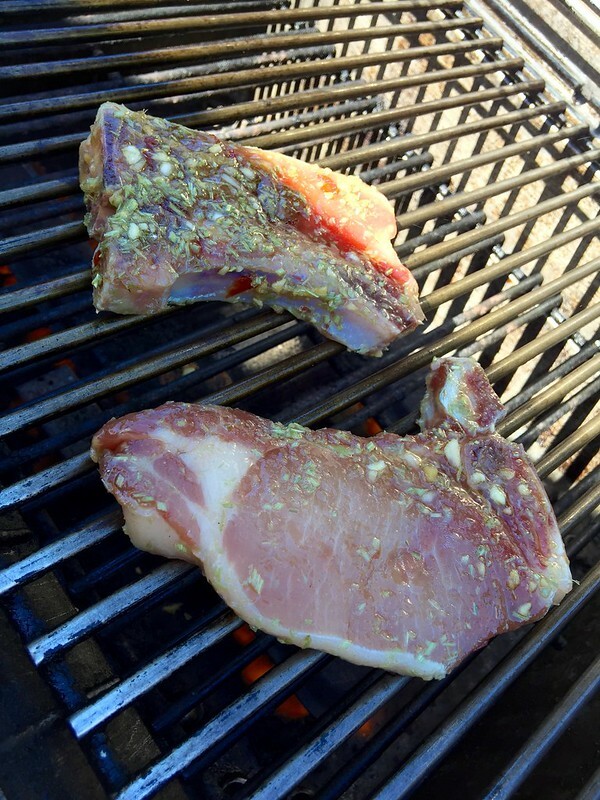 Grill the pork chops for 1-2 minutes on each side until browned and slightly charred. If using thick chops, add an additional 2-3 minutes per side—depending on thickness. 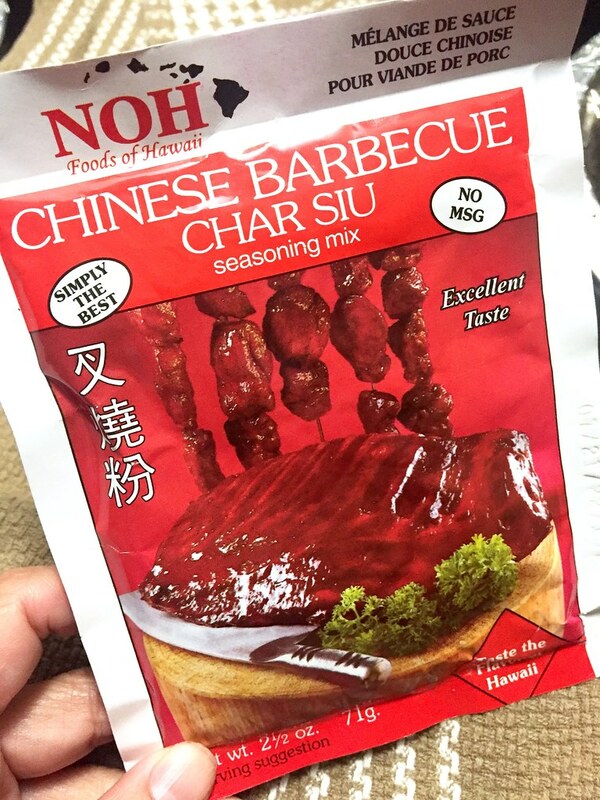 Remove the pork chops from the grill and generously brush them with the hành mơ. Cover and set aside while 4 plates are prepared. On each plate, place a generous mound of rice and brush it with the hành mơ. Place one fried egg over the rice and add a few slices of cucumbers, tomatoes and lettuce/greens on the plate. 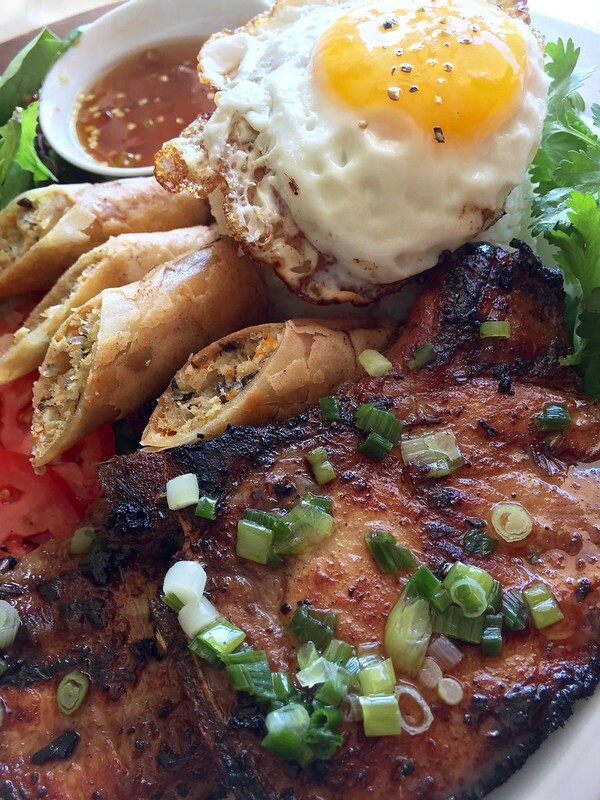 Add one pork chop along with a small bowl of nước chấm. 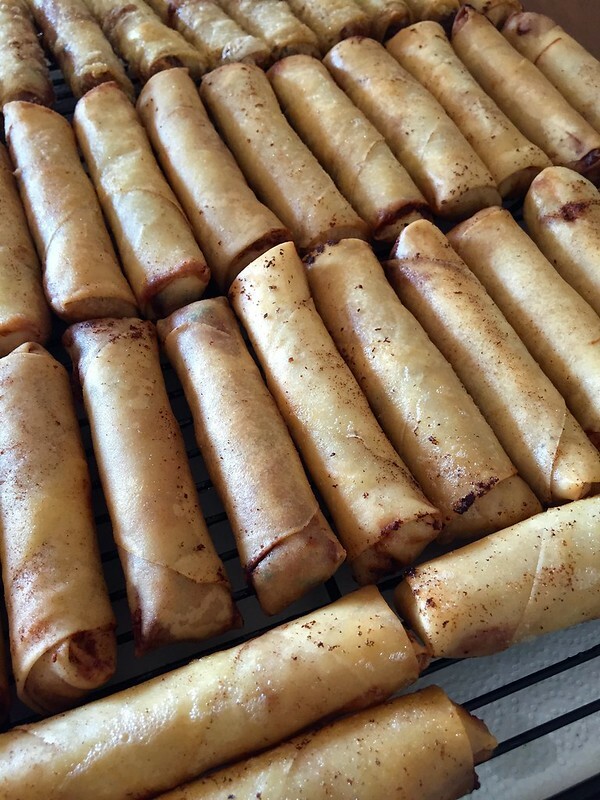 The truth is, if you don’t like egg rolls (or fried spring rolls), I will judge you. I mean, C’MON! What is there not to love??? Crispy, crunchy exterior wrapper that envelopes an incredibly savory filling? It’s perfection! When done right, that is. And what makes a bad egg roll in my opinion? And yes–I’m talking about those that have like 90% cabbage in them. That’s just not right! 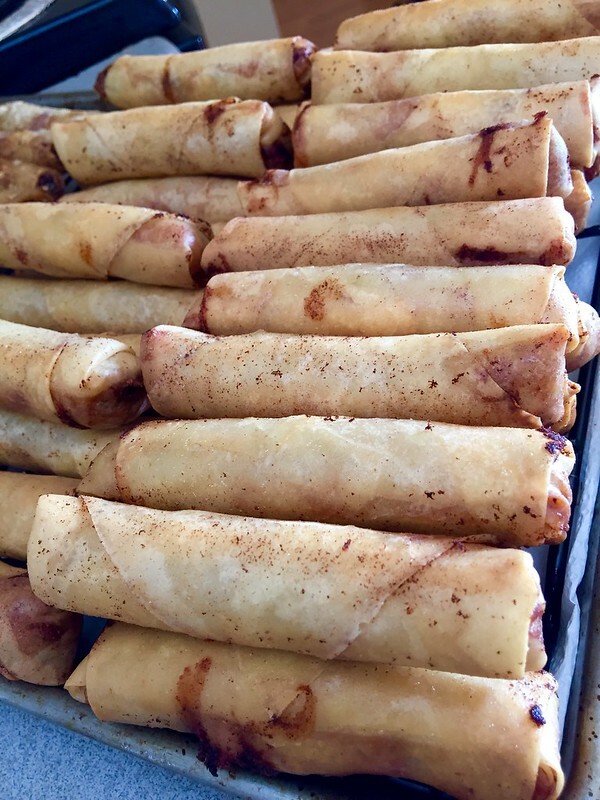 So many Asian cultures have their own spin on them…chun juan, lumpia, popiah tod and of course, my personal favorite, the Vietnamese version — Chả Giò! 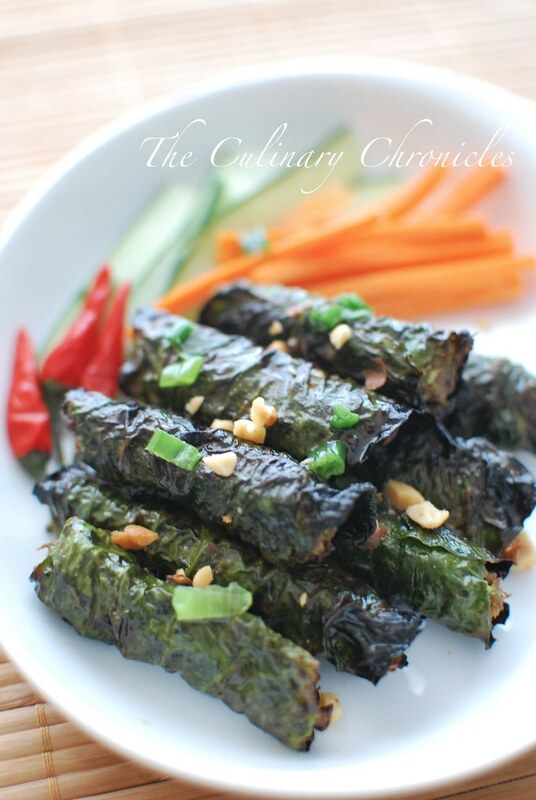 Chả Giò –or Nem Rán as it’s called in Northern Việt Nam–doesn’t have cabbage in the filling (thank Buddha!) and often uses a combination of pork and seafood. 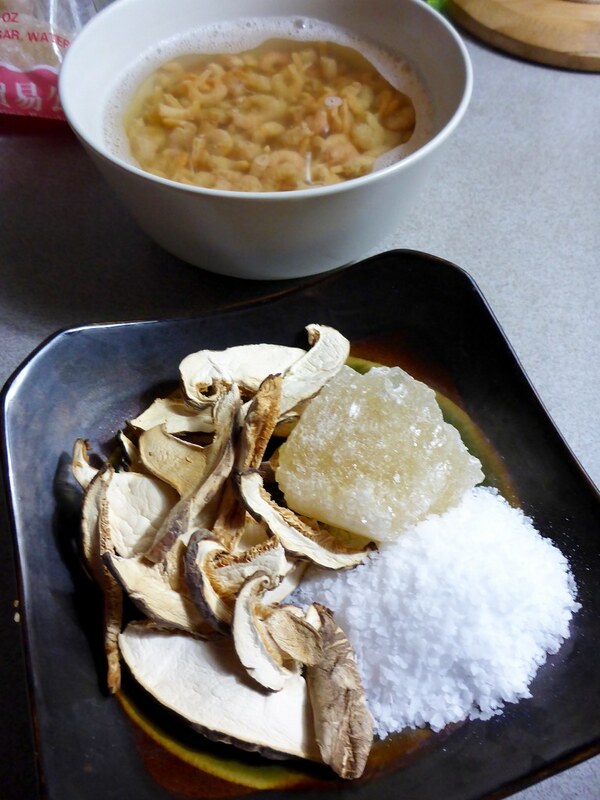 You’ll also often find taro and jicama included with the usual combination of wood ear mushrooms, cellophane noodles, carrots and other aromatics. 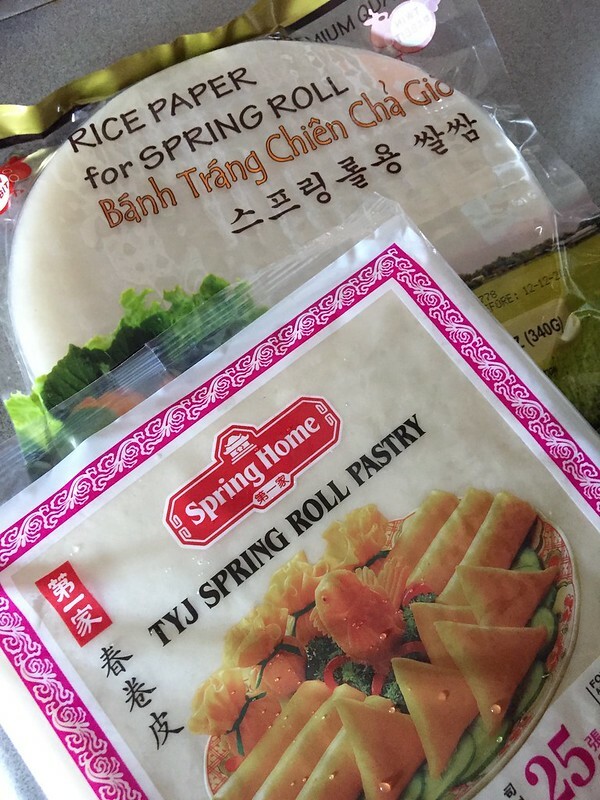 Traditional Chả Giò (also called Imperial Rolls) are rolled up in rice paper versus the Chinese style wrappers made of flour and eggs. 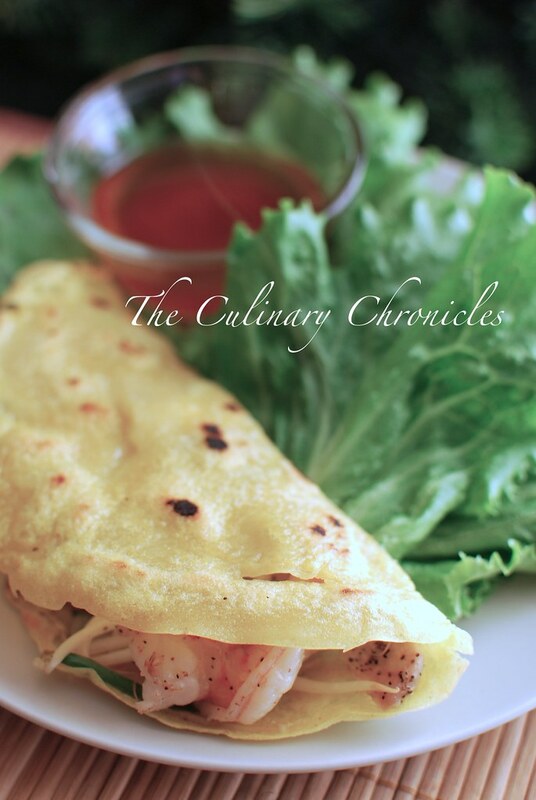 The rice paper gives a wonderful balance of textures between crispiness and chewiness. When fried, the paper becomes quite bubbly as shown here with the pics of the Chả Giò served with vermicelli. Texture is hella important to me peeps. Growing up, Mom primarily made Chả Giò with the Chinese style wrappers like the ones shown above so it’s normally how I make them too. They come frozen in all sizes but I prefer using the ones that are about 7 x 7 inches. I find that it makes for a nice size roll–not too big, not too small. Chả Giò rolled in these wrappers also tend to freeze better than the ones rolled in rice paper. But even though I tend to lean towards the other wrappers, I will roll a few in rice paper to be enjoyed that day. It really adds a different touch and I totally recommend it. One tip though when using rice paper, avoid over wetting it! Either barely dunk it in warm water or take a very damp kitchen towel and press it on the sheet until it becomes just pliable. Too much moisture makes them susceptible to tearing. 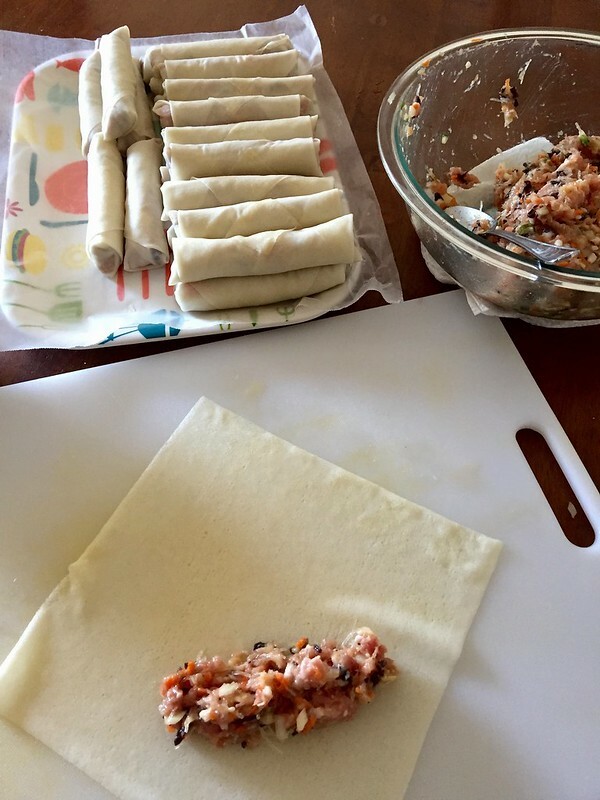 Another thing Mom always taught us to do is try out the filling before you start rolling the Chả Giò. It would be a total bummer if you didn’t and found that after an hour of rolling and frying the Chả Giò, you discover that the filling is bland or some seasoning is off. Save yourself the heartache and before you roll, take about spoonful of the filling and pan fry it up. It shouldn’t take more than a minute or so. 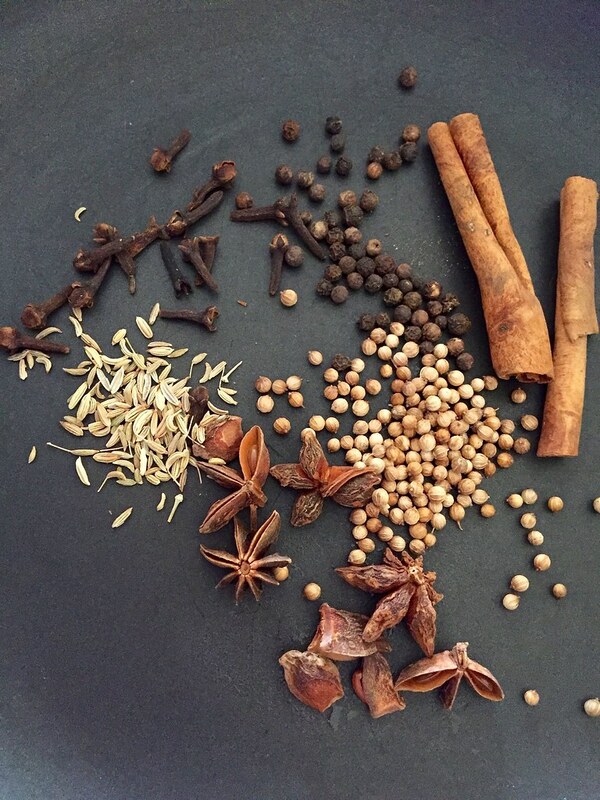 Taste and adjust for seasonings as needed. Trust me, you’ll thank me. Or actually, Mom. Here are a few other tips…..
Don’t get greedy. And by this, I mean do not over stuff the rolls. About 2 tablespoons for an 7 x 7 inch wrapper is sufficient–anything more and you risk the rolls exploding. And that’s just no bueno. 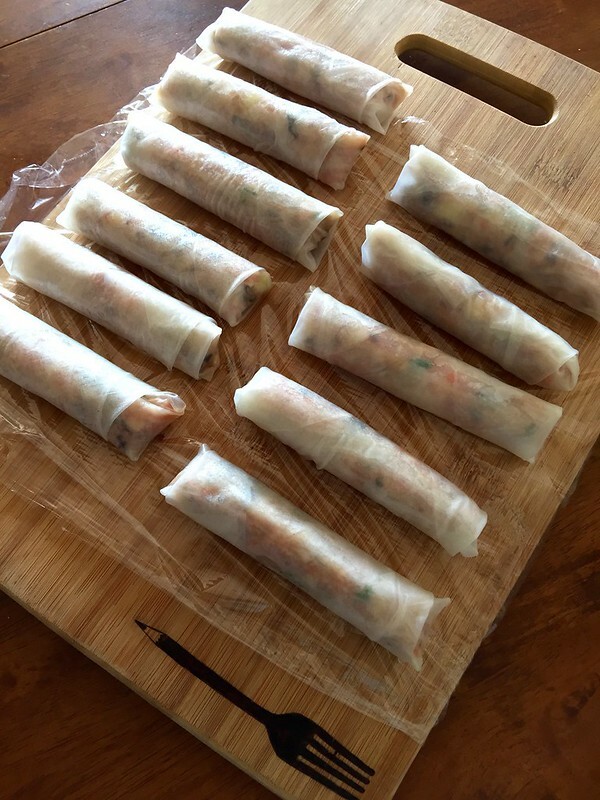 Roll the Chả Giò tightly, avoiding any air bubbles and seal the edges well with an egg wash. It will help the rolls keep its shape during the frying process and avoid them bursting. Again, because that would be super no bueno. Keep your oil at a moderate and even heat. Too hot and your wrappers will burn and the filling won’t cook. Too cool and too much oil will seep into the roll and it won’t get super crunchy. And finally, ALWAYS make a double batch. If you’re going to go and put in the effort to make these labor of love (and they do take some time but are SOOO worth it), you might as well stock up your freezer! 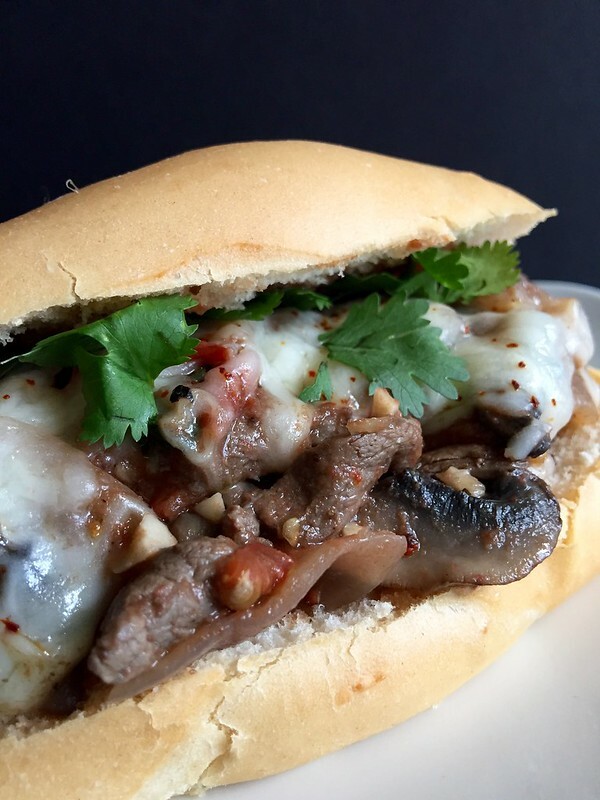 Again, you’ll thank me for it when you get a hankering one day for some bomb Chả Giò and remember that you’ve got a stash waiting for you in the freezer. As for how to serve them–so many options! On Its Own: Take a Chả Giò and wrap it in a large lettuce leaf filled with fresh herbs and dunk it into some spicy and stanky nước chấm. It’s damn good. Bún Chả Giò: Chả Giò with cold vermicelli noodles and veggies are the perfect interplay of different textures (told ya it’s important), varying temperatures and freshness from all the veggies. A generous pour of nước chấm all over the bowl is mandatory. Check out my post on Bún Tôm Nướng Sả (Vietnamese Grilled Lemongrass Shrimp over Vermicelli Noodles) for instructions on how to construct the fixins’ for a big ol’ bowl of bún. Cơm “Whatever Protein You Like” Chả Giò: If you’ve eaten at a phở restaurant, then you’d likely have tried or at least seen the numerous rice plates we love to enjoy. 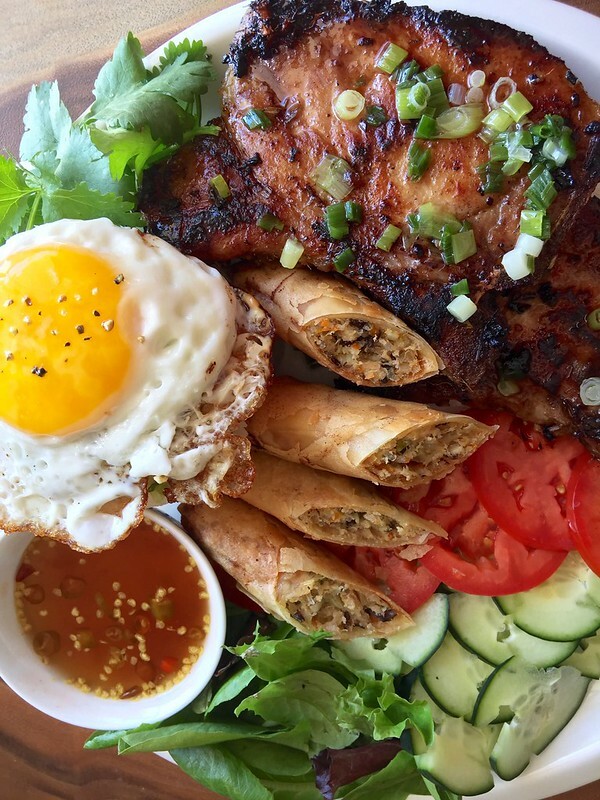 Usually grilled chicken, shrimp, beef or pork chops are served up with a mound of rice (sometimes cơm tấm–or broken rice), a crispy fried egg, veggies—and if you order like I do– some Chả Giò. Place the first 9 ingredients in a large bowl. Beat 2 eggs and pour it into the large bowl. Add the fish sauce, pepper and mix all the items until everything has been well incorporated. Cover the bowl and refrigerate for one hour. To test for seasoning, take a small spoonful of the mixture and pan fry in a nonstick skillet for about 1 minute on each side. Taste and adjust for seasoning as needed. In a small bowl, whisk the remaining egg with the water. Begin assembly. If using the Chinese egg roll wrappers, place one sheet on a flat surface with one corner facing towards you. 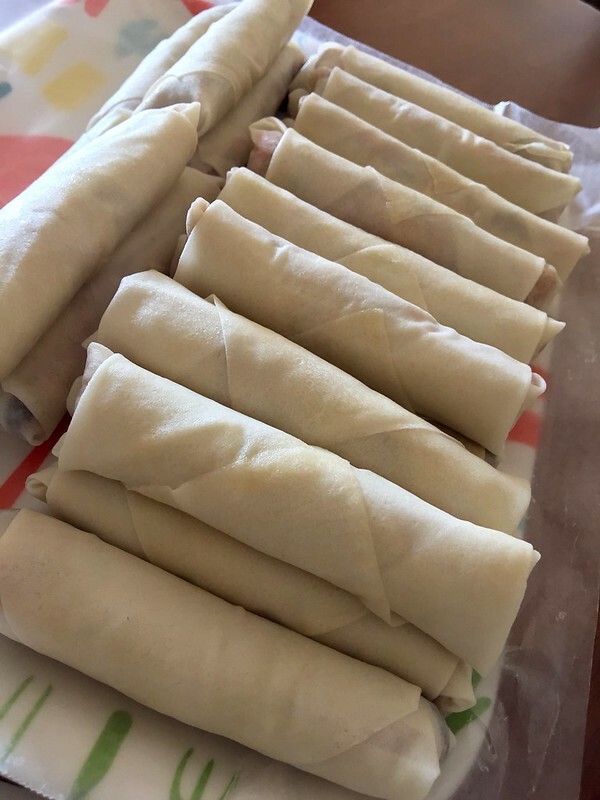 Moisten the edge of the top left and right side of the wrapper with the egg wash. Place about 2 tablespoons of the filling in a line approximately 1/3 up from the bottom corner. Tightly roll the bottom of the wrapper over the filling. Fold the right side of the roll in and fold the left side in. Continue to tightly roll up until you’ve created a secured roll. Place the roll on a tray and cover with a damp towel or plastic wrap to prevent it from drying out. Repeat with the remaining ingredients. If using rice paper, use a very damp and clean kitchen towel to just barely moisten the sheet so that it becomes pliable—you will not need the egg wash. Follow the same steps above to fill and wrap the roll. Heat a large pan or high walled skillet with about 2 inches of oil until it reaches 350 degrees F. In batches, carefully place the chả giò into the hot oil. Fry, turning occasionally, for about 5 minutes until the filling has cooked through and they turn golden brown. 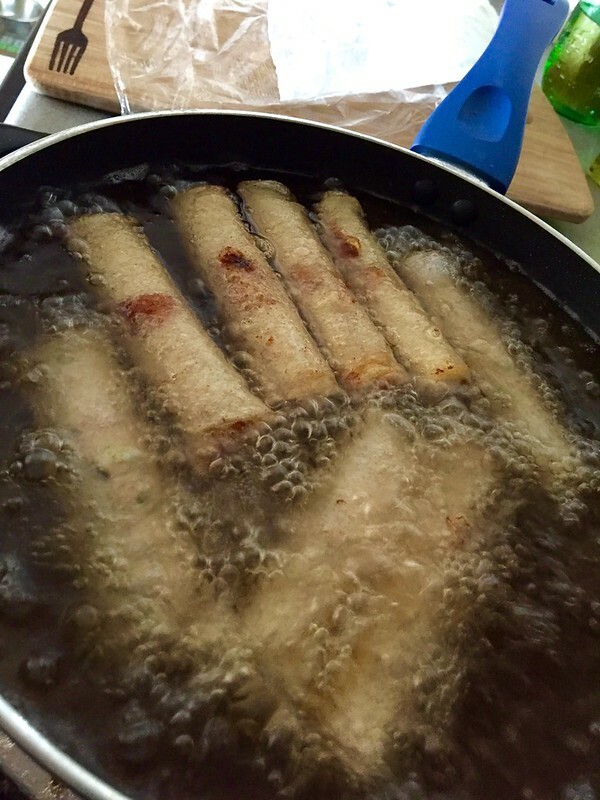 If using rice paper, cut down the frying time by about 1 minute–and the color will be golden but not browned. Remove the rolls from the fryer and drain on a rack that sits on a baking tray.